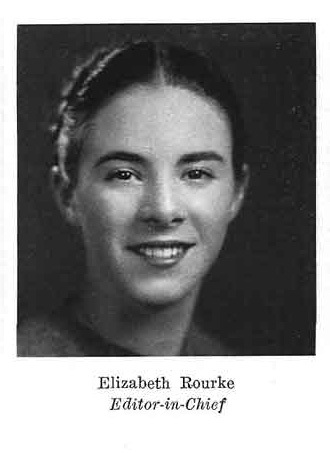 The Nutmeg Yearbook was first published in 1915, and its first woman editor-in-chief was Elizabeth Rourke, a member of the Class of 1939. Hers was the last graduating class of Connecticut Agricultural College. A month after her June graduation, her alma mater became the University of Connecticut. Student government began at Storrs Agricultural College in the 1890s, but it wasn’t until 1918 when a woman would serve as its leader. Gladys Dagget, who also made a first for women as business manager of the student newspaper in 1918, was president of the Students Organization that same year. When men returned from World War I, they resumed control of the student government. 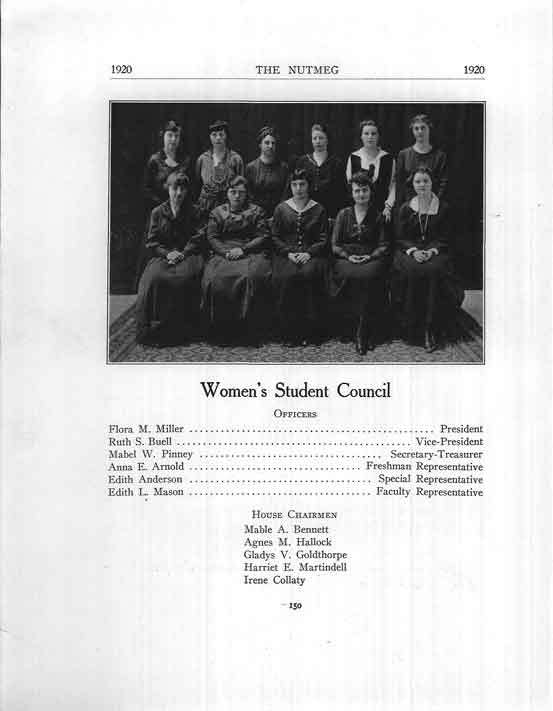 A separate Women’s Student Government Association was established in 1918, coordinating activities and campus life for women until 1971. After a change in the constitution of the male-run student government, Henrietta Spring, a member of the Class of 1945, was elected as its first woman president in 1944.